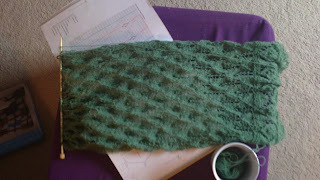 FayKnits: Creative Space: Wrinkled and Scrumpled! 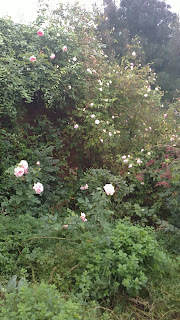 Creative Space: Wrinkled and Scrumpled! This is my Lilac Leaves Shawl so far. 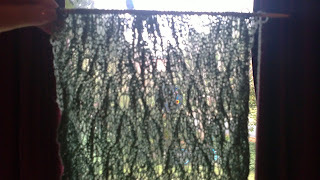 As you can see it is a mass of wrinkled and scrumpled stitches. Thank goodness that is what it is meant to look like! 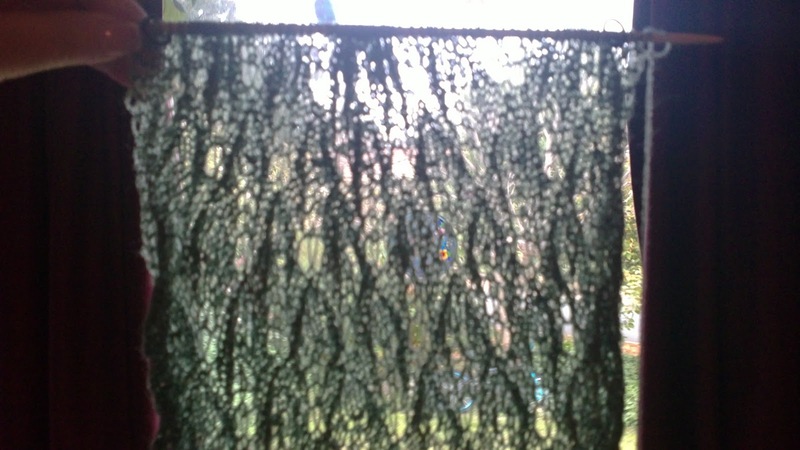 Lace looks like this until it is blocked. I'm about half way through the pattern and have found I am used to the rhythm it of now. You can just make out the leaf shapes in this shot. I am currently reading this book. 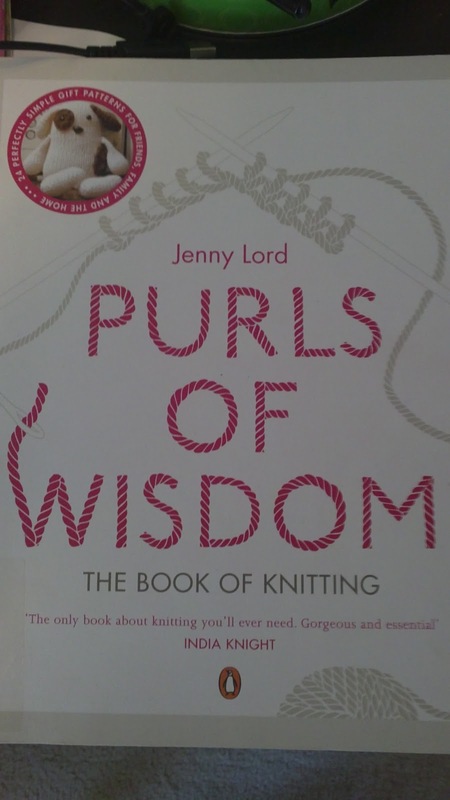 It is brilliant and full of important tips and some great patterns. I'm keen to try the simple sock pattern in it, in my first attempt at sock knitting soon! 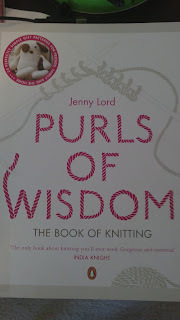 I used the instructions in this book to help me graft the Ulla's Scarf together using kitchener stitch. I have borrowed this book from my local library, but am loving it so much I might have to buy it. I have been buying all my books lately fromCando books which is an Australian store with an impressive variety of craft, crochet and knitting books. Delivery only took two days for my last order. 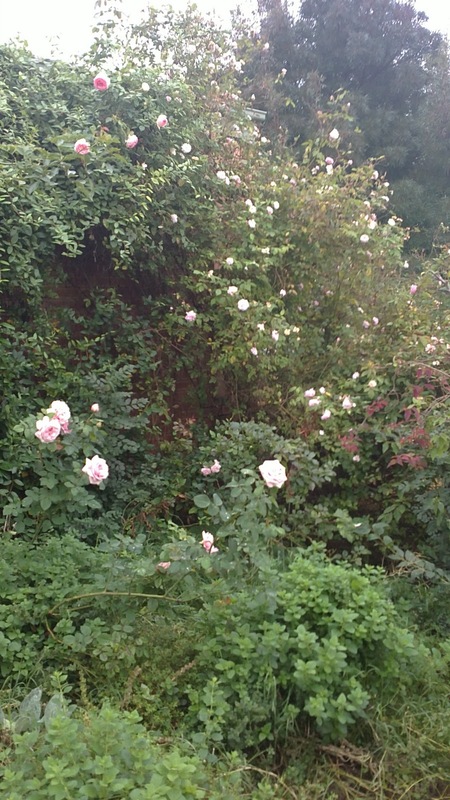 I am loving the mass of Autumn roses in my garden at the moment. What a beautiful shawl. It looks like it's going to be stunning. I will have to look out for that book at our library. It looks great. What beautiful delicate work! Looking forward to seeing the finished product. 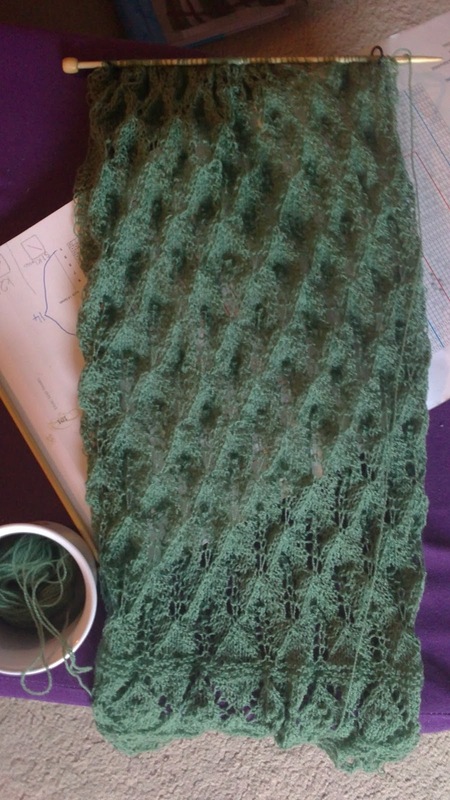 As a non-knitter, I'm so impressed by the incredible details that can be built into shawls, scarves and jumpers. This looks wonderful. You must be incredibly patient, and I'm sure you'll love wearing it!